Flash Drive Not Showing Up? Find Answers Here! USB flash drive not showing up on a computer is a common problem, especially for Windows users. There could be a number of causes behind this problem such as improper operation, system error, hardware issue, etc. If your flash drive is not showing up, then it is recommended that you follow the tips listed in this article so you can get your valuable data back. A malfunctioning USB port could be the cause of your flash drive not showing up on your computer. So, it is recommended that you use Control Panel to refresh the USB ports and see if they are working properly. Step 2: Navigate to Hardware and Sound > Device Manager and then click on Universal Serial Bus controllers. Step 3: Now click on Uninstall and then use the ‘Scan for Hardware Changes’ option to see if your flash drive is recognized by the operating system. If the flash drive is still not recognized, then the device is probably faulty. Outdated device drivers are another cause of flash drive not showing up on computer. If your device drivers are outdated, then updating them is likely to solve the problem. 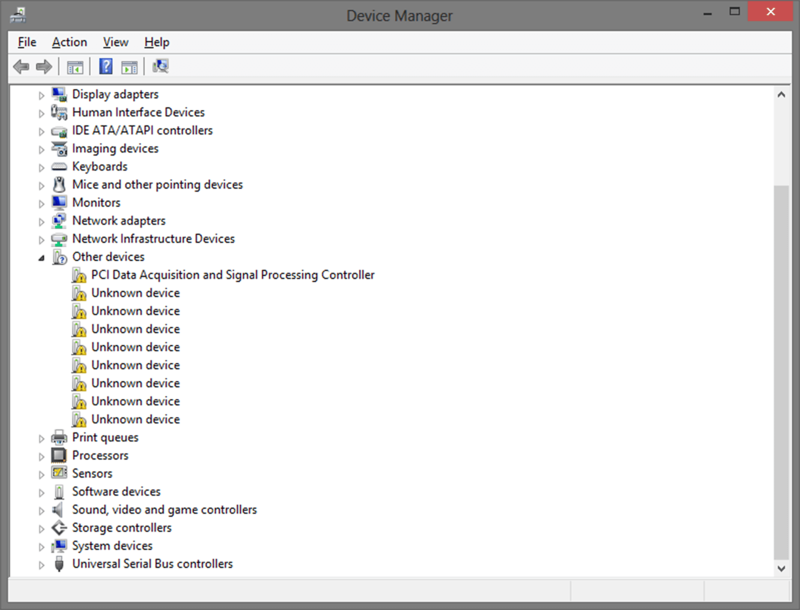 Step 2: Navigate to Hardware and Sound > Device Manager and then click on Other devices. Step 3: Now from the list, check if there is any device listed as ‘Unknown Device’. If yes, then open its Properties via the right-click menu and then click on Driver. 4. Now click on Update Drivers. Your flash drive should show up on your computer after this step. If not configured correctly, the Power Management settings in Windows can cause your flash drive to not show up on your computer. That’s why it is recommended that you change your Power Management settings to see if the problem is solved. Step 3: Now from the list, open the first ‘USB Root Hub’ that you see. 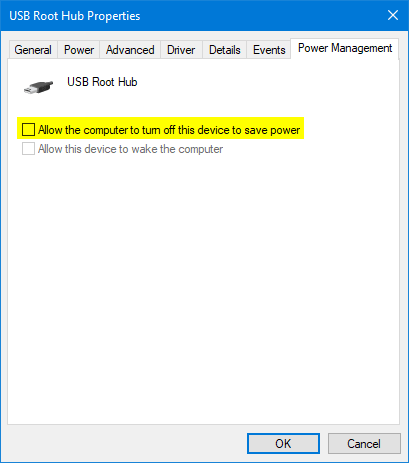 Step 4: Navigate to the Power Management tab and then unmark the option “Allow this computer to turn off this device to save power”. Step 5: Click OK to save your settings. The problem should be solved now. If you managed to fix your flash drive not showing up problem via the above-mentioned methods and now want to recover data from it, then it is highly recommended to install AnyRecover on your computer because it is the best tool for flash drive data recovery. AnyRecover can recover all kinds of data from a wide variety of storage mediums, including flash drives. The method to recover files via AnyRecover is as easy as 1-2-3 and the software has a high successful data recovery rate. There are many features of iMyFone AnyRecover. Recover any type of data from your flash drive as AnyRecover supports data recovery of 1000+ types of files, including photos, videos, audio, archives, documents, and more. Recover deleted/lost data from virtually all kinds of storage mediums, including internal and external hard drives, memory cards, USB flash drives, digital cameras, and more. You can preview recoverable data via AnyRecover’s built-in file previewer before actually recovering it. This makes selective data recovery a breeze. User-friendly software interface and several powerful and advanced data recovery modes. Step 1: Download, install and then open iMyFone Anyrecover. Step 2: Select External Device Recovery mode from the software’s home screen. Step 3: Connect your USB Flash Drive on the next screen and then click Next to proceed. Step 4: Choose the file types that you wish to scan for. Tick ‘All File Types’ if you want the software to scan for all types of files. Click the Scan button when ready. The scanning process will begin. Step 5: Now preview and select the files that you want to recover and then click the Recover button. AnyRecover will start the recovery process. In conclusion, troubleshooting ‘flash drive not showing up’ problem is very easy. The above-mentioned methods (checking USB ports, updating device drivers, changing power management settings) are likely to fix the issue. Once the problem is solved, recover your data via a professional data recovery tool. It is recommended that you use iMyFone AnyRecover for this purpose because it’s reliable, fast, and has a high successful data recovery rate.